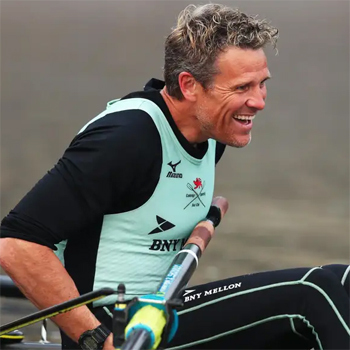 Congratulations to James Cracknell who successfully helped row the Cambridge team to victory in the Boat Race. Now aged 46, the ‘determination’ and ‘winning’ mindset are clearly still very much in-tact for James, who is studying for an MPhil in Human Evolutionary Studies at Peterhouse, yet still found time to join the University Boat Club and train to the point where he was selected alongside men more than half his age. Along with his Olympic golds and numerous feats of endurance, is it any wonder he's still a popular speaker on the circuit? !